Vaia Patta on categories, matroids, Bruce Lee, beer, Pokemon and a horny Volcano God. Ella Al-Shamahi on trying to find Palaeolithic caves in unstable territories. Nick Neasom talks about talking, and why we talk the way that we talk. Gary Browning with observations on death and the dead. Book your Tickets for June Bright Club! 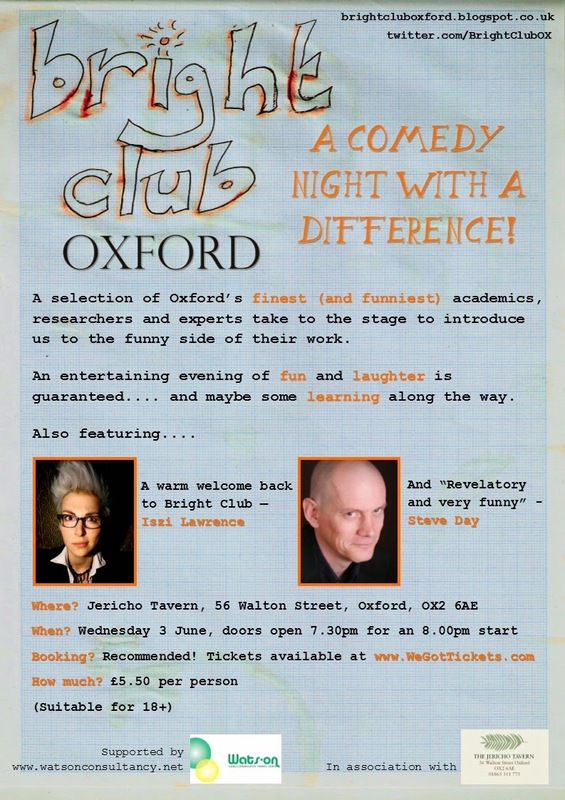 Tickets are now on sale for Bright Club on 3rd June. 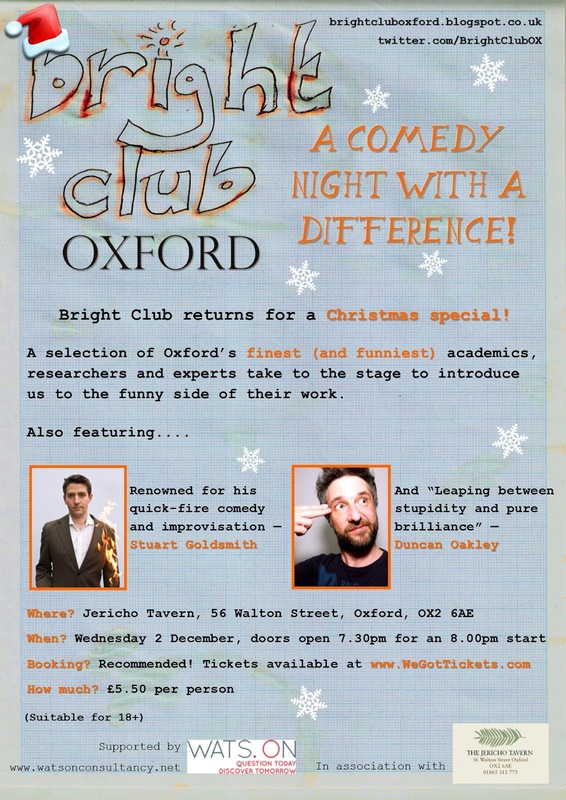 They sell out fast - so make sure to book early to avoid disappointment! Bright Club on 11th March is sold out! 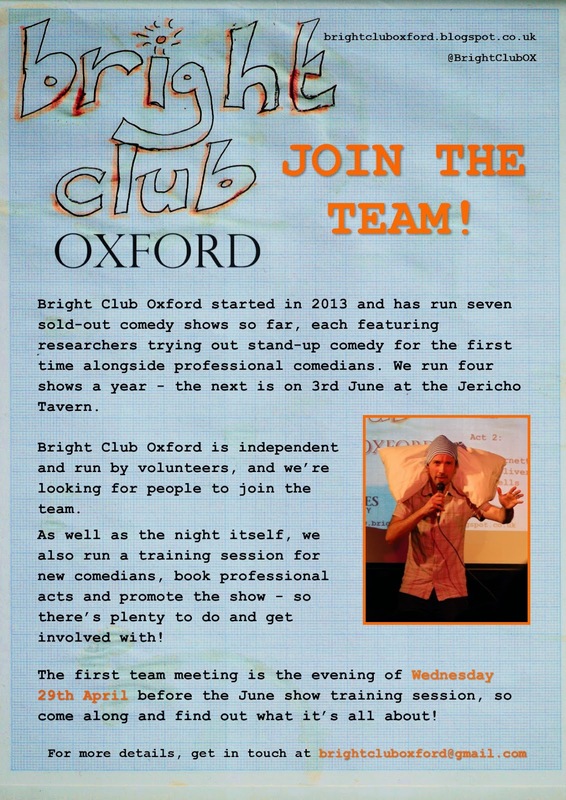 If you missed out this time, you can stay updated with Bright Club news by getting in touch at brightcluboxford@gmail.com to join our mailing list, or follow us @BrightClubOX. 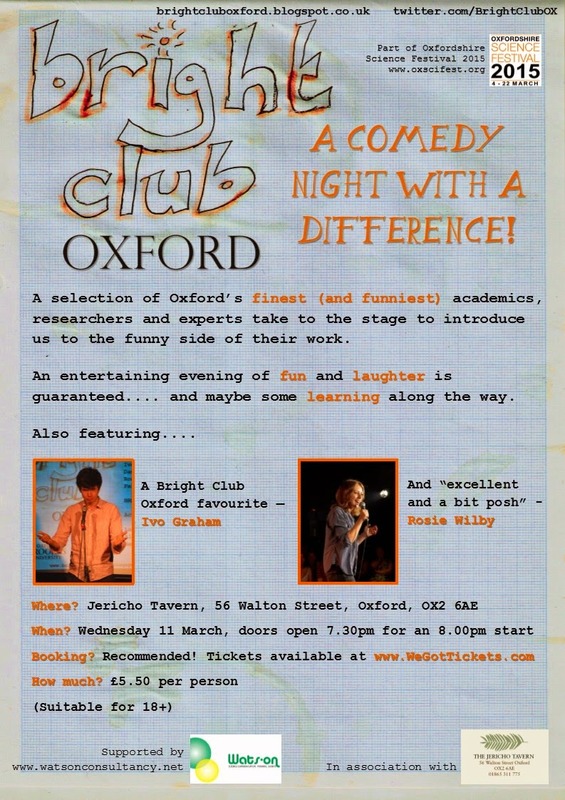 Line-up announced for March Bright Club Oxford! There's not long to go until the first Bright Club Oxford of 2015 - here's the line-up for your delectation! 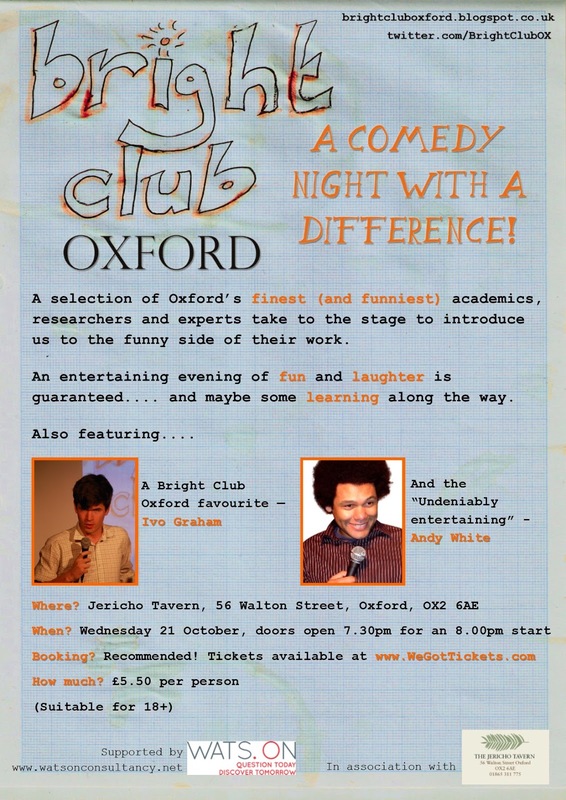 The show will be compered by the ever brilliant Ivo Graham! And headlined by the marvellous Rosie Wilby! Plus the chance to win a £25 food voucher from our kind hosts, The Jericho Tavern! Register for March Bright Club! We are recruiting performers for our next Bright Club show on 11th March. 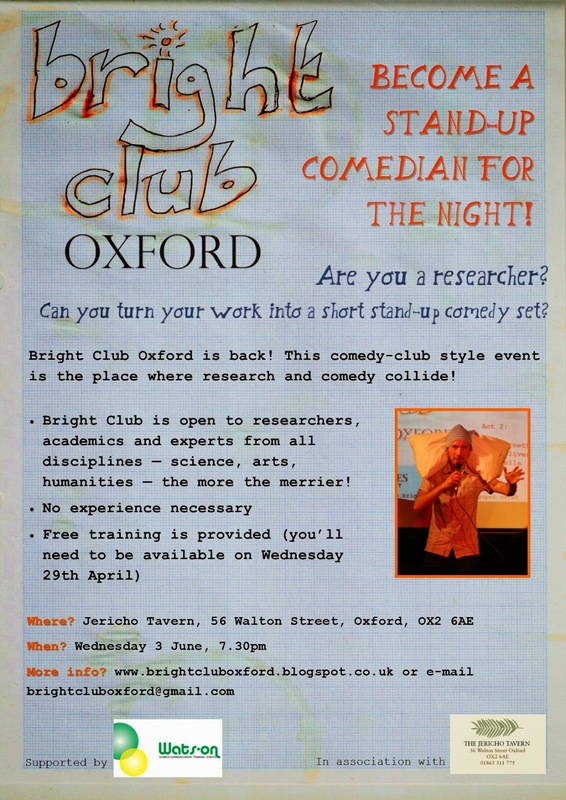 E-mail us at brightcluboxford@gmail.com for more details.